The life of any kind of home roof or commercial roofing system can be extended (and damage to insulation and electrical systems can be avoided) by conducting careful inspections at least twice each year. Remember that effective preventative maintenance includes not only looking for signs of weather damage and material deterioration, but also by taking proper steps to correct problems when they’re found. 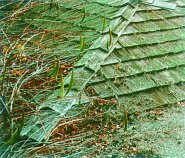 Broken, warped, dislodged, curled, split and/or missing shingles, shakes or tiles. Most reputable roofing contractors will perform inspections at little or no cost. Ask everyone in the family to help keep an eye on your roof. They’ll be helping to save money, protect your property and possessions, and enhance the beauty and value of your home.